The holiday season is here and if you're anything like me, you've only started shopping for Christmas gifts. If you're having trouble finding the right Star Wars gift for your favorite fangirl, don't worry. I've got you covered! This gift guide is Dorky Diva approved and sure to make that special lady in your life smile this holiday season. Star Wars: The Force Awakens Tour Tee. 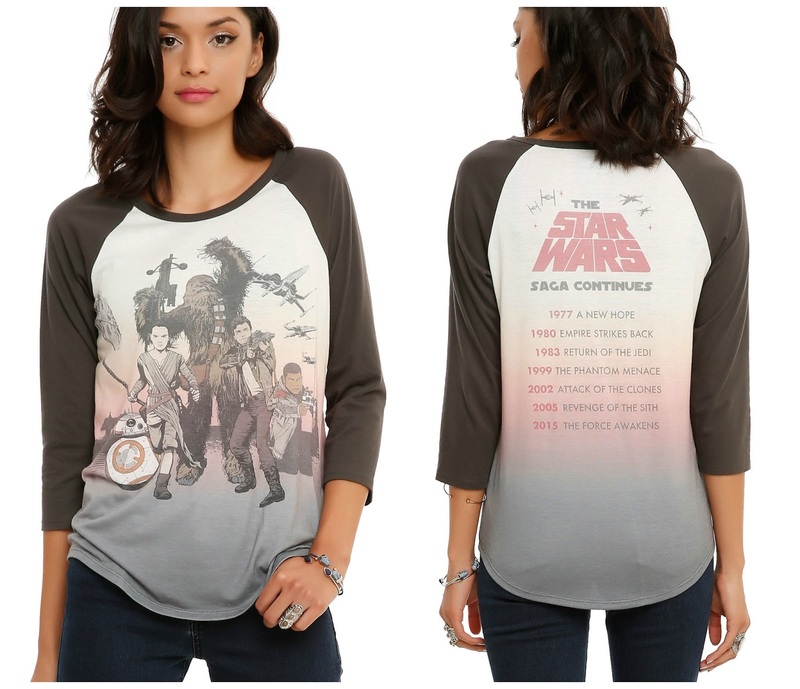 Her Universe and Hot Topic have teamed up to create this beautiful tee shirt for the release of Episode VII. The text on the back resembles a band tour shirt and the muted colors have a very vintage looking vibe. The front features some of our newest beloved heroes including Finn, Rey, Poe, and BB-8. You could pair this top with a pair of shredded jeans or a high waisted skirt for different occasions. Find it HERE at Hot Topic's website. 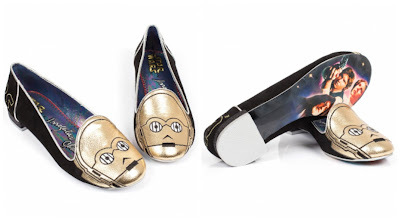 Irregular Choice C-3PO Flats. The odds of completely falling in love with these metallic droid flats from Irregular Choice are 3,720 to 1! These limited edition shoes have special details at every angle. C-3PO from the front, "Star Wars" from the heel, and a stunning print from A New Hope on the bottom. I would pair these with a simple black dress for New Years Eve. Find them HERE on Irregular Choices's website. 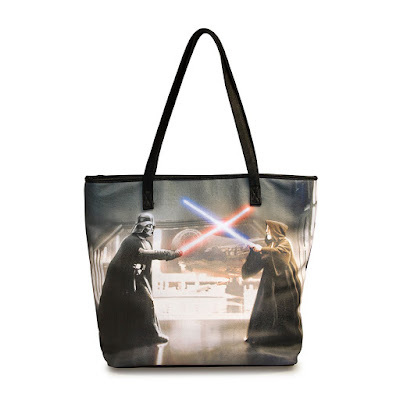 Star Wars Darth Vader vs. Obi-Wan Tote. A girl can never have too many bags to carry her day-to-day items and this Vader vs. Obi-Wan faux leather tote from Loungefly is definitely and show stopper! Made to last and stop people dead in their tracks, You'll be stopped and asked where you scored this awesome bag featuring one of the most iconic scenes from Episode IV. Get it online at Loungefly's shop HERE. Cross Pens Star Wars Journal & Pen Set. I'm the kind of gal who is constantly writing down notes to keep up with my busy schedule or quotes to keep me inspired. This Star Wars journal and pen set from Cross Pens would be perfect for any Star Wars fan. These sets come in three different character designs including C-3PO, Darth Vader, and the classic Stormtrooper. Check out the Cross Pen shop online HERE and take a look at their selection of Star Wars pens and gift sets!